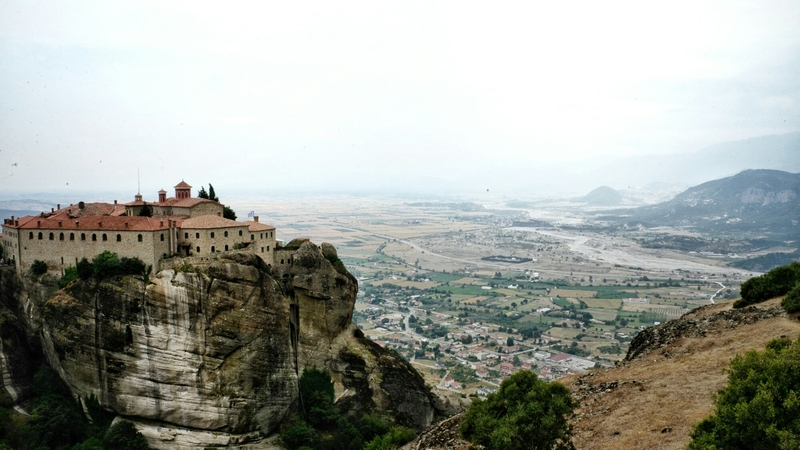 Seeing the wonder that is Meteora will forever be on my mind. 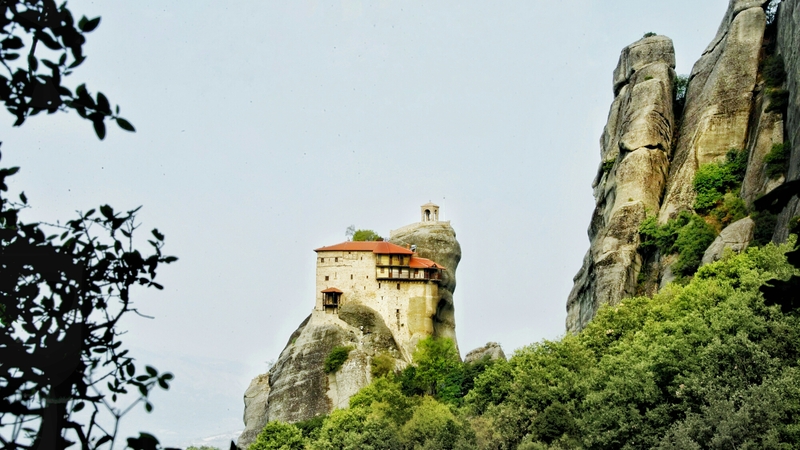 Nature is imposing and in your face in this area of Greece, but it didn’t stop the 11th century hermits from building architectural craziness and perching monasteries on top of rock pillars that rise up from the ground, some as high as 400m. 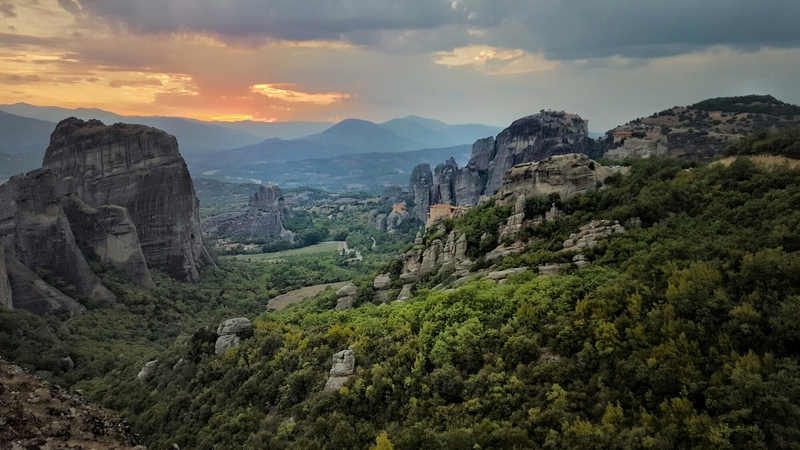 With so much nature, history, and incredibly friendly locals, I think Meteora is one of the most beautiful places I have ever seen on earth. 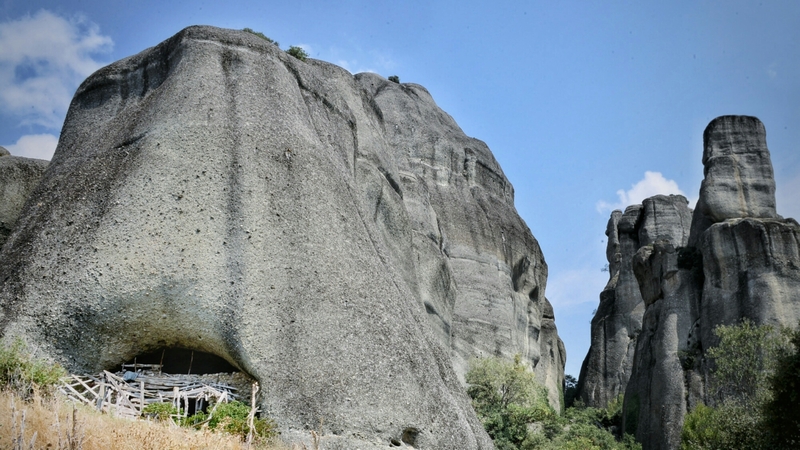 Check out some photos and our recommendations for enjoying your time in Meteora! 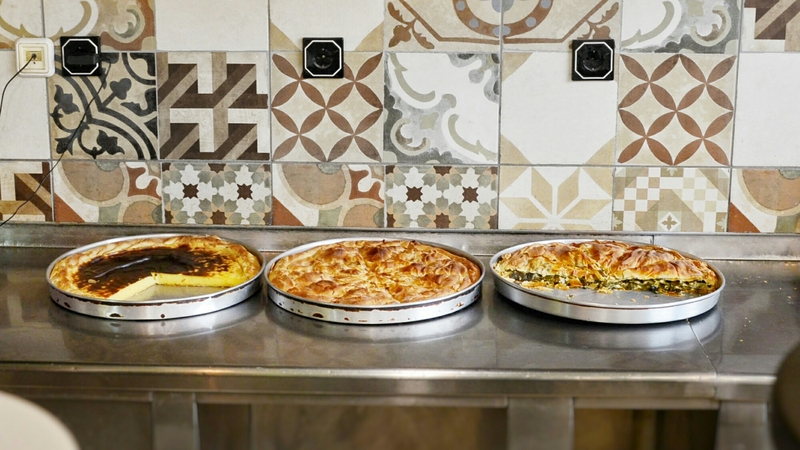 From the main Athens Central Raleway Station (Larissis Station), it is a comfortable 5 hour train ride to the town of Kalambaka. 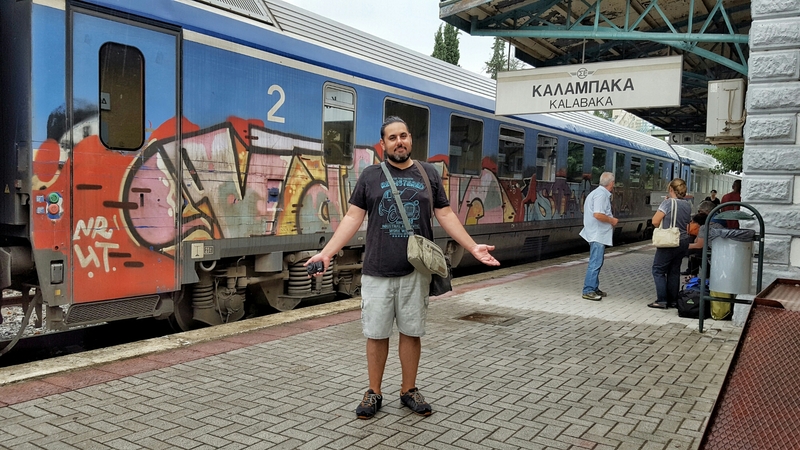 There are 4 trains that leave from Athens daily. 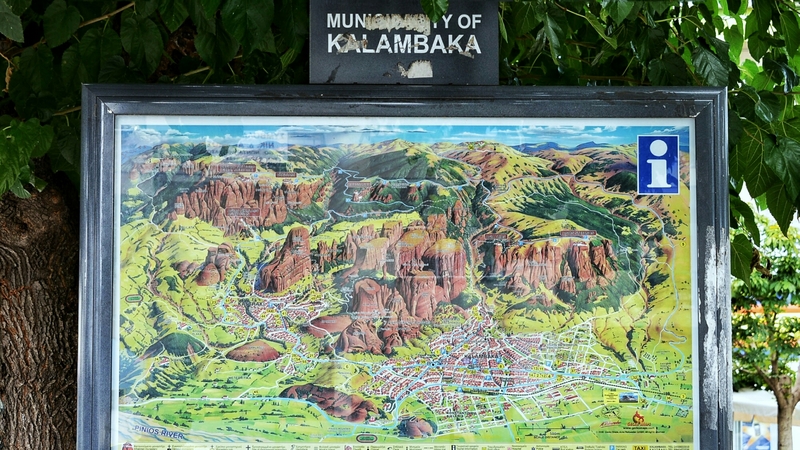 We took the 8:27am train and were in Kalambaka by 1:30pm. 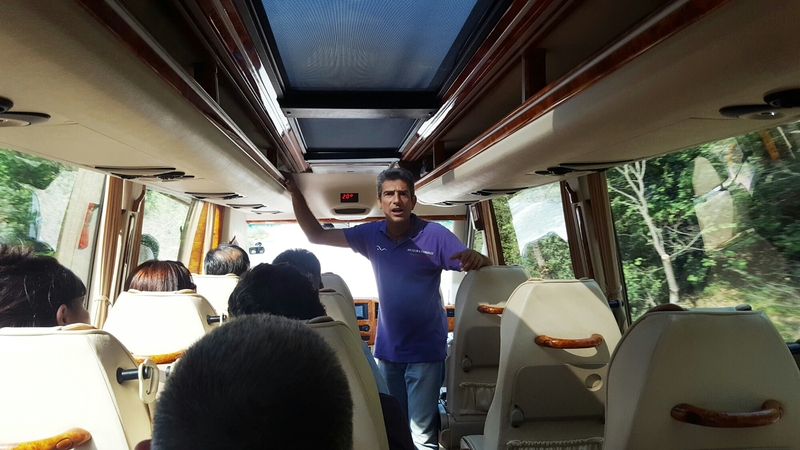 We joined a small group for a sunset tour around the Meteora rocks, a lively local led the group and he gave us a lot of information about each of the monasteries and the area. 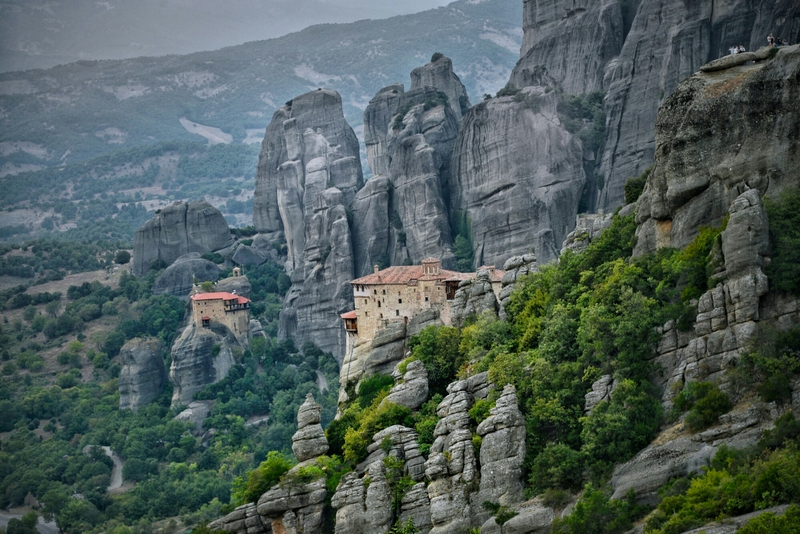 From certain angles during the drive, some of the monasteries really do look as if they are suspended in the air. 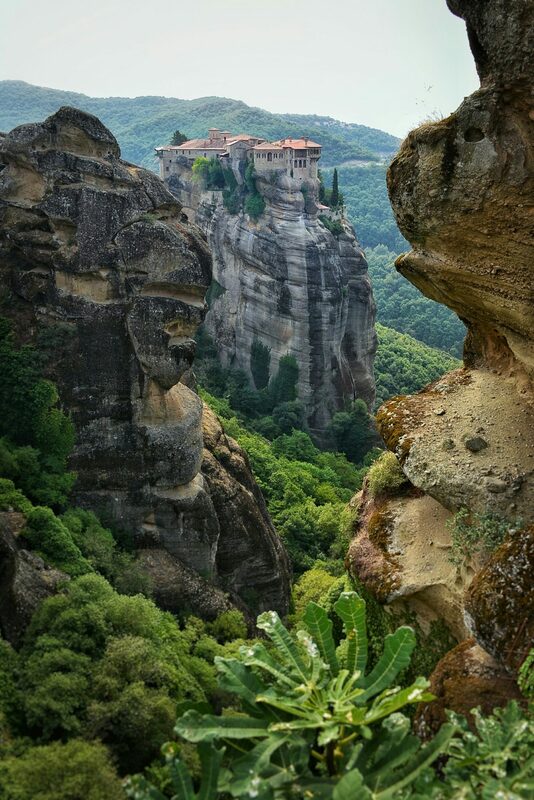 Looking at the structures, it was puzzling to think that the hermits and monks who lived in these caves and built the monasteries accomplished all if it with just ladders, ropes, and the most basic tools. That’s some rock-climbing skills, extra bravado. 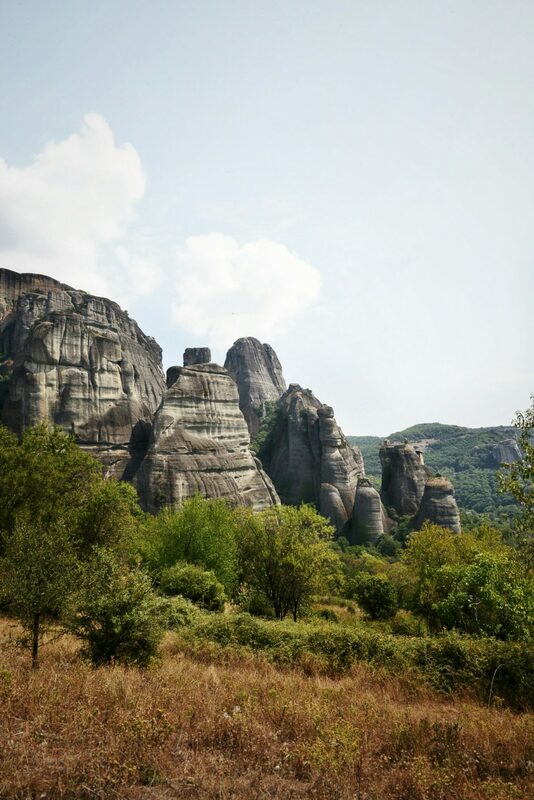 In addition to seeing the area by vehicle, we highly recommend spending a day or at least a half a day hiking around and below the rocks of Meteora. There are well-paved and marked paths, and it’s a completely different perspective seeing the rocks from below. 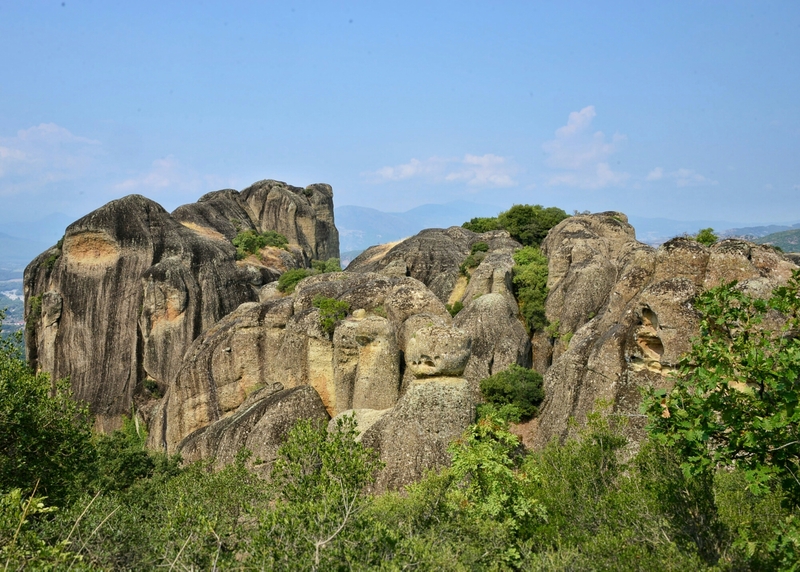 The area itself is fairly flat, making the monolithic rocks jutting up from the ground even more majestic looking. 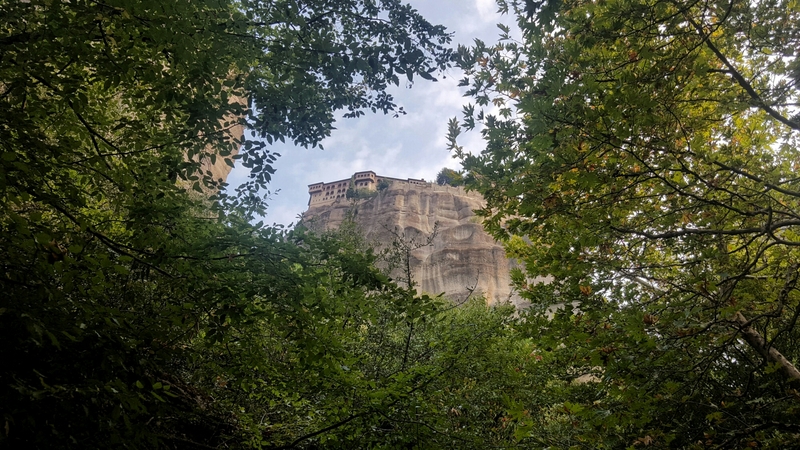 We were able to see some caves that were once inhabited by hermits and I couldn’t help but think “Wow, he really must have wanted to be alone”. And then they went for it. Not bad. Abraham with our local guide at the start of the hiking trail. We’re about to hike under the rocks! 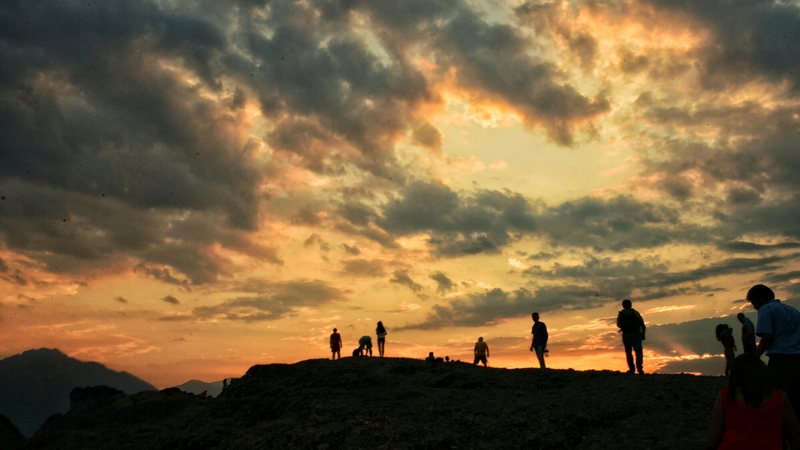 “There is no never-ending banquet under the sun”. 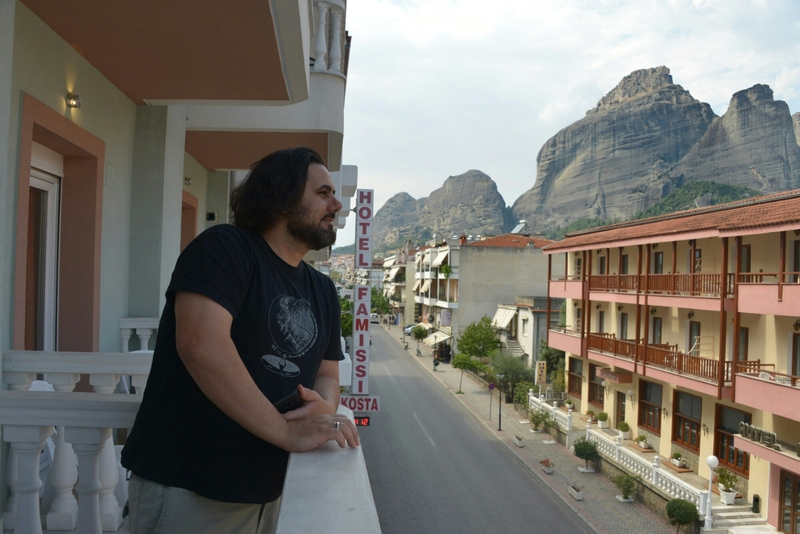 It’s been real, Meteora!